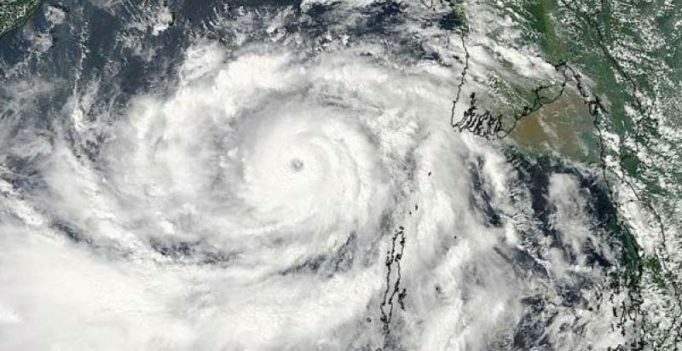 Visakhapatnam: Social media was abuzz with rumours that Cyclone Kyant would be bigger and more violent than Hudhud. The messages were accompanied by advise to keep emergency supplies ready. The reality, according to the weather bureau, is that it is weakening in the Bay of Bengal. Some people, on Thursday made panic purchases to ensure a stock of essentials. As a result, many shops reportedly ran out of milk and other commodities. Some shopkeepers also reportedly hoarded items. “The IMD predicted that the cyclone Kyant turned into deep depression and is most likely to weaken further into a depression on Thursday morning. Instead of going by the nodal agency announcement, many people are still following the messages circulated on social media,” said social activist G. Srinivas. The rain and wind that lashed in the evening brought back memories of Hudhud. At some residential schools, students were called back home by their parents. “My mother has been calling me since morning asking me about the situation here. Though I told her about IMD’s report, she kept suggesting that I come back home. The social media rumours is making people worried,” said Chinmaya Rath of Odisha, working here. Two years after cyclone Hudhud hit the Andhra coast, and as fear of another cyclone, Kyant, looms large, the plantation of casuarinas, palmyrah and mangroves, to create a protective green belt on the north Andhra Pradesh coast, has not been taken up as planned. Such plantations act as a barrier, slowing down wind velocity and reducing damage to coastal areas during storms, cyclones and tsunamis. About US$12 million – the major chunk of World Bank funding of US$20 million allotted to the forest department under the Andhra Pradesh Disaster Recovery Project – is to be spent on plantations and hi-tech nurseries. Officers of the Forest Department claim that delays in the release of funds has delayed the plantation project. Principal chief conservator of forests (Admin) R.G. Kalaghatgi said the funds were released only a few months back. “It got delayed as various norms and procedures had to be followed. However, things will move on now,” he said. Palmyrah and casuarina plantations were to come up in Visakhapatnam, Vizianagaram and Srikakulam districts. 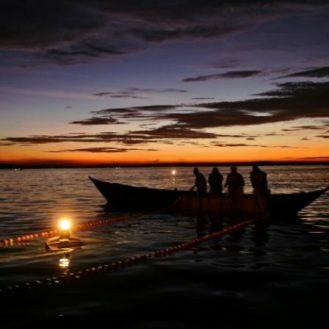 Seven nurseries were to be set up in the four coastal districts. Additional principal chief conservator of forests (Visakhapatnam circle) Prateep Kumar, said about 330 hectares have been identified in East Godavari district for mangrove plantation. “Mangrove plantation is very important. One hundred mangrove plantations of 200 trees each are good enough. It is very crucial for states like Andhra Pradesh, which has a long coastline,” he said. He said workshops have been held with coastal communities to emphasise the need for the creation of a coastal green belt. “With the funds in hand, we will swiftly execute the projects,” he promised.